Pacific Gold Oysters are a beautiful, hardy species that thrive in the cold, rich waters of Morro Bay. Their home is a unique bay found on the central coast of California where the strong wind and waves meet the peaceful streams that flow from age old volcanic aquifers. This convergence of elements brings with it constant changes in salinity, temperature, nutrients, and tides. 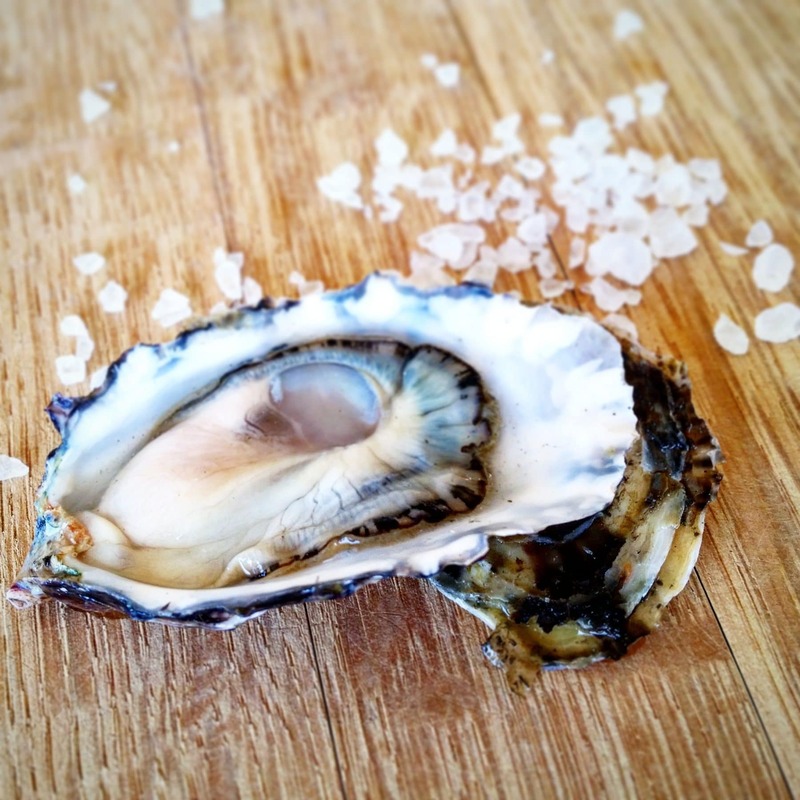 The Pacific Gold Oyster adapts to these changes over the course of its life and develops a robust flavor. When coastal storms bring rain and the salinity drops in the oyster beds, the Pacific Gold Oyster will develop a distinct melon finish. The strong northwest winds of spring cause the upwelling of cold, salty, nutrient rich water that is found deep near the ocean floor. The strong tides bring this water into the farm twice a day allowing our oysters to explode with growth and take on the fresh salty brine that surrounds them. 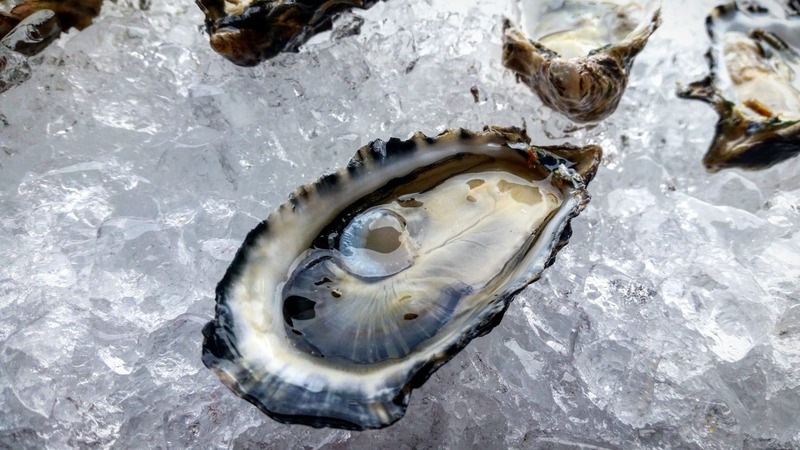 Pacific Golds are a deep cupped oyster with a full body. The flavor profile changes over the course of the year depending mainly on fluctuating salinity and their ever changing planktonic food source. What is constant is the Freshness that can be tasted in the bright saltiness which is often finished with a mild melon flavor more similar to a green melon rind. These oysters come from a very small farm on the central coast of California that grows the Pacific Golds in bags that rise and fall off of the mudflat with the tides twice a day. Pacific Gold Oysters are raised in floating bags that rise and fall with the tide. 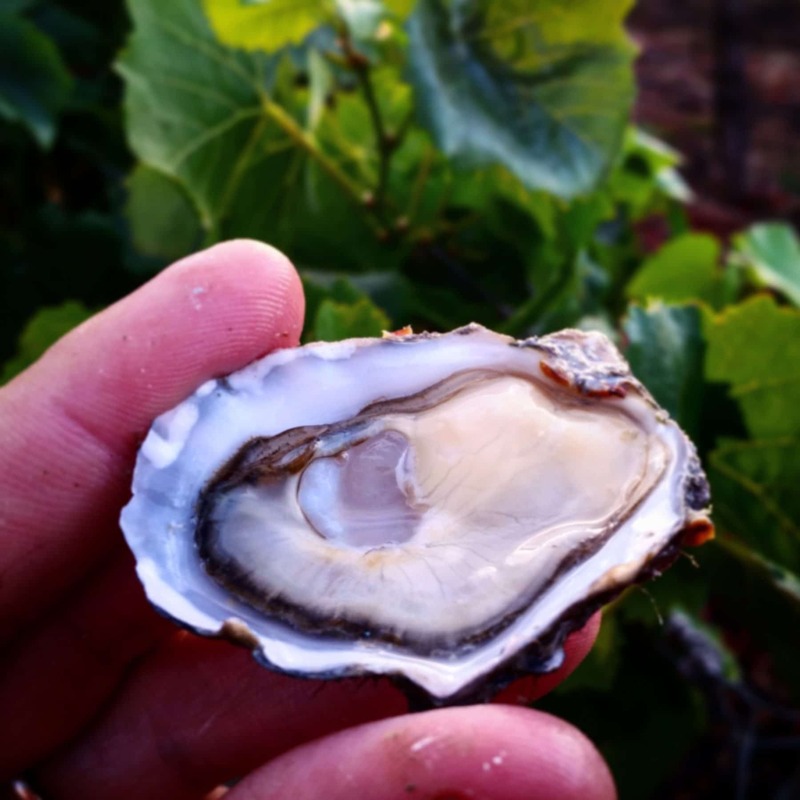 The farm is exposed to the air for 20% of the day which creates a great stress on the oyster, forcing it to develop a strong muscles and a tight seal of the shell to keep it liquor safely inside until the tide returns. The harsh conditions that the blow in off of the Pacific Ocean helps cultivate a perfect oysters. When the prevailing winds blow out of the northwest, the lines undulated in the wind swell and are tumbled constantly. 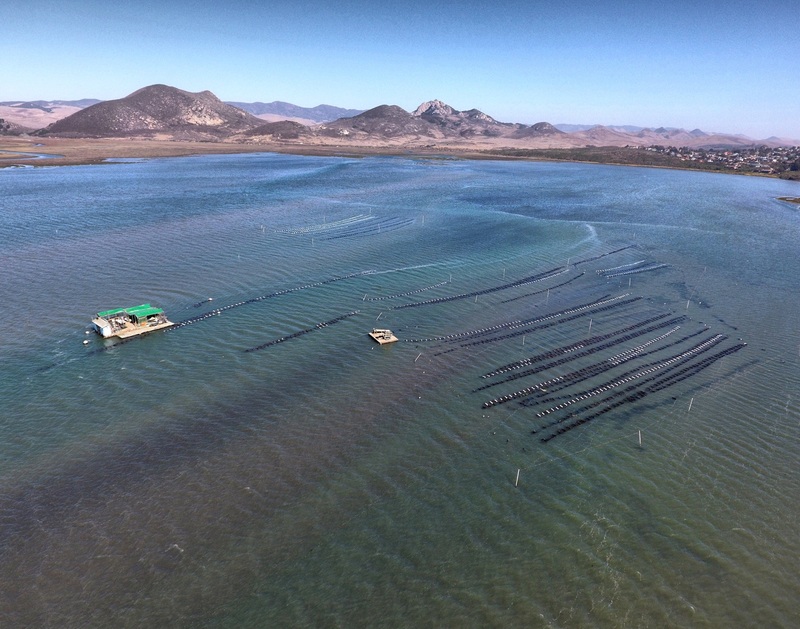 The deep nutrient rich water the winds bring into the bay charge the oysters with fresh nutrients every 28 hours and flush the bay filling it with highly oxygenated water. These conditions are ideal for Pacific Gold Oysters. Don’t forget the lemons, limes and jars of Santa Monica Seafood Cocktail Sauce – these colorful items can brighten up any oyster display.